As we like to do Thursday mornings, Exclaim! has picked the best of the bunch when it comes to checking out live music across Canada this weekend. Here are our picks for your best concert bets in Vancouver, Calgary, Toronto and Montreal. After releasing a Christmas-themed compilation for the second year in a row, it only makes sense that Light Organ Records will be celebrating the holiday season with a Christmas party in their hometown of Vancouver. Bust out your ugliest Christmas sweater and spike the eggnog, because with a bill that includes Sun Wizard, Fine Times, Adrian Glynn, Louise Burns and DJ Trevor Risk, this is a festive celebration you won't want to miss. San Francisco's Papercuts will be taking their live show to Canada's West Coast this weekend, having released Fading Parade earlier this year. Primarily the project of Jason Quever, Papercuts' sombre brand of indie pop is sure to delight the audience, even if it makes them all sad-faced in the process. Tim Cohen's Magic Trick (yes, as in the main dude from Fresh & Onlys) will open the show. Experimental electronic artist Baths may only be 22, but he's been toying around with music since he was a kid. 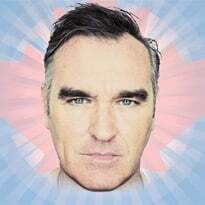 His acclaimed debut album under his Baths moniker came out in 2010 and was followed by this year's Pop Music/False B-Sides. Catch the California musician at the Electric Owl on Saturday night, alongside BC native Teen Daze and Morgan Greenwood. Wu-Tang Clan alumnus Ghostface Killah is currently in the midst of a Canadian tour and is set to take on the Prairies this week, with a Thursday evening stop in Calgary. Toronto's Peter Jackson will be opening, and sets from Sheek Louch and Killah Priest will also be featured. Hip-hop fans will definitely want to check this one out. 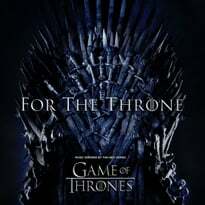 Massachusetts metalcore band Unearth released their fifth studio album this year, July's Darkness in the Light, while Cleveland, OH heavy metal group Chimaira put out The Age of Hell in January. Still promoting the recent releases, the co-headlining bands will be playing with Athens, GA thrash metalers Skeletonwitch and deathcore outfit Molotov Solution, making this a must-see for metal fans in Calgary. Critical darlings the National are still touring on the power of 2010's High Violet and will be playing their biggest Toronto show to date at the Air Canada Centre. It's hard to imagine anyone would need convincing to go check this performance out, but sets from Neko Case and Wye Oak will definitely sweeten the deal. Catch this killer lineup on Thursday night. In the last couple months, Montreal musician Mark Sultan has released a pair of LPs, Whatever I Want and Whenever I Want, in addition to a freebie record entitled The War on Rock'n'Roll. Obviously, there won't be any shortage of new material for him to play to audiences in Toronto this weekend. Alt-country poster boy Ryan Adams will be enchanting crowds at the Winter Garden Theatre in Toronto on Saturday evening. He recently released Ashes & Fire, but will surely be playing favourites from his prolific back catalogue too. Ohio-born country-tinged singer Jessica Lea Mayfield will play an opening set. Ontario-born musician Sarah Slean is currently on the road for her latest record, this fall's Land & Sea, and will be bringing her piano-heavy pop music to Montreal on Thursday night. Sure to impress the crowd with her seasoned live show, you would be wise to check this show out. 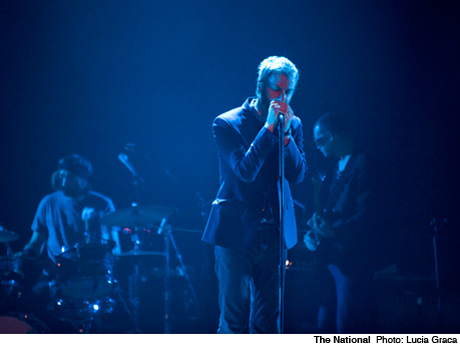 After their stint in Toronto, the National will be performing for the masses at the Bell Centre. Neko Case and Wye Oak will be on the bill in Montreal too, definitely making this lineup one of the highlights of the week. Canadian hip-hopper K-os is expected to release a new album next year, following up 2009's Yes! To hold fans over until the new year, catch K-os performing live in Montreal on Saturday night. Dirty Mags are sure to deliver a set of noisy garage rock to rile up the crowd before K-os takes to the stage to play old favourites and maybe even some new material from his forthcoming record.